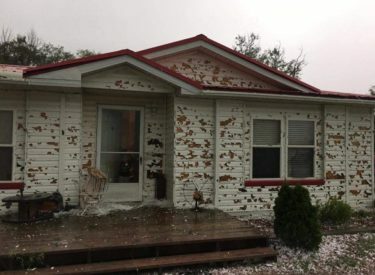 According to Weather Watchers, a Supercell with hail as large as baseballs hammered the City of Ulysses Tuesday evening. There have been reports of multiple windows broken out of homes, cars and businesses. Storms began to calm down as dusk approached. Wheat in the Hugoton area has been damaged by hail with this is a Supercell that moved East of Hugoton earlier.